This is Asheley and Deanna taking over for Sarah while she's away suffering heat stroke in the tropics! A Valentine from Saipua -- hooray! Almost as good as being in the Tropics! my mom is visiting me this weekend in brooklyn, so I hope it's me! Oh please, oh please! Would love to win! Perfect timing for the holiday. going to a friends for homemade pizza after work tomorrow, would love to bring...scheps.lisa@gmail.com, thanks! Oh please me me! It's sort of been one of those weeks...so since I'm not in NY this time of year, I'd love to send along some cheer to a friend in Brooklyn. I know this would put a smile on her face. One of your stunning arrangements would be absolutely perfect for the 14th! My daughter, who lives in Brooklyn, could use some cheering up over the Valentine weekend! I am in MD, so I am rather far away to surprise her with a wonderful treat! Your flower arrangements are breathtakingly beautiful - the recipient could not help but be happily cheered in the presence of such lovely blooms. Her email is as follows: zyggy25@mac.com. Alyssa is her name! Thank you for this special opportunity. I have to send it anonymously, bc I do not have a blog or google account. My own email in MD is alinazee@verizon.net. HAPPY VALENTINE'S DAY TO EVERYONE!!!!! Lovely graphic design and flowers! i'm posting a comment. i'm leaving my email. leighanne.landman@gmail.com. i'm hoping to win flowers. Could this be my week?? Sure hope so, I love your work. 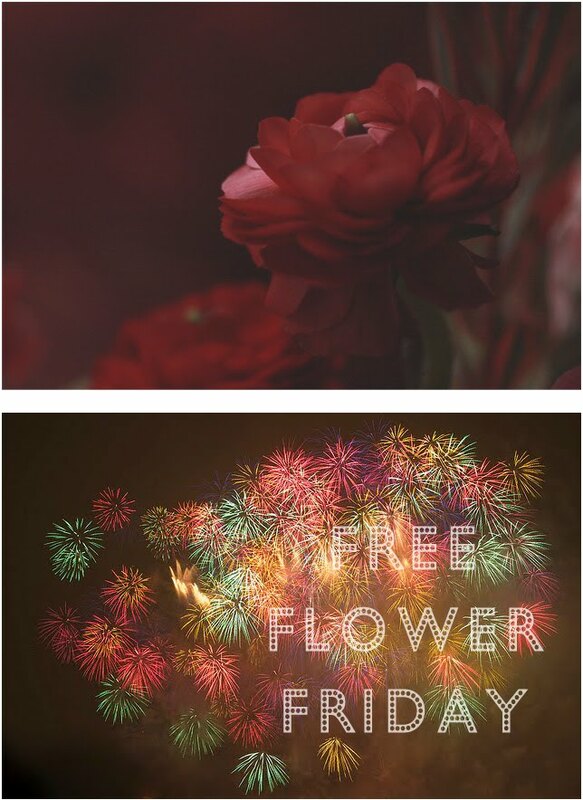 Fireworks and flowers - lovely. my little sis, isabel, lives in brooklyn and i'd like to win some flowers for her, especially since vday is coming! her email is isabelicious@verizon.net. mine is eve.sinclair@yahoo.com. i love that you guys do this! I just dissected flowers in bio lab to learn about plant anatomy, and it reminded me that no one's given me flowers in years... You ladies are so cool for doing this every week! Loving the logo you have created for fff! Here's to hoping that this is the week! I'm going to use the unemployment card!! Since I can't spend money on pretty little things like flowers, right now, I would LOVE to win some free ones from you guys. Love.love.love. I am too late I think. Always <3 your flowers~ pretty! oh pretty pretty please!!! We're moving in a few weeks and I'm living amongst nothing but towering cardboard boxes. I'm desperate for something pretty!! !